HEJSupport joins the Citizens for Science in Pesticide Regulation. 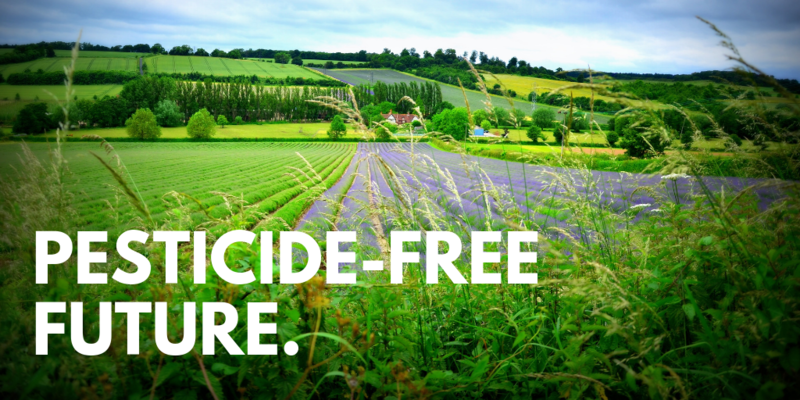 More than 100 NGOs and experts published a manifesto demanding a better pesticides regulation. Visit the Citizens for Science in Pesticide Regulation website. 5. Safety testing of pesticides shall be carried out by independent laboratories and not by the pesticide industry itself. The process shall be paid for by an industry-supplied fund that shall be managed by an independent public body such as EFSA. 6. To prevent cherry-picking of favourable data, all safety studies must be registered in advance. No safety study that is not registered shall be used in support of regulatory authorisation of a pesticide. 7. All experts involved in risk assessment shall be subject to a strict conflict of interest policy and rules. Any ties to commercial interests will exclude them from the process. 8. Existing guidelines on risk assessment shall be fully reviewed by independent scientists because in many cases they were designed and promoted by industry and are biased in favour of industry interests. 9. EU-funded research programmes shall prohibit industry-linked individuals from joining projects that design or evaluate risk assessment methodologies. 10. The data requirements to assess whether a pesticide should be authorised need to be updated urgently, because major health effects, such as immunotoxicity, endocrine disruption and developmental neurotoxicity, are not adequately covered and the impacts on environmental ecosystems are severely underestimated. 11. Industry dossiers shall only be accepted into the authorisation process when all required data is delivered, including all independent peer-reviewed publications related to health and environmental effects of the pesticide. Pesticides that do not fulfil all the requirements of the regulation must be banned. 12. Formulations of pesticides as sold and used (and not just the isolated active ingredient) shall be tested and assessed for crucial endpoints (e.g. mutagenicity, carcinogenicity,developmental toxicity, and endocrine disruption) relevant to humans, mammals and all non-target species, such as bees, birds, frogs, and earthworms. 13. The cocktails of pesticide residues to which EU citizens are exposed every day must be considered when calculating “safe” daily exposure levels. Until this is implemented, an additional “safety” factor of 10 shall be applied in all pesticide risk assessments. This additional safety factor shall also be applied in the calculation of the acceptable environmental concentrations of pesticides. 14. All the results and data of all pesticide safety tests shall be published on the internet in a consistent and searchable format. 15. National authorities shall conduct routine independent post-approval monitoring of the effects of pesticides on health and the environment. The monitoring shall be paid for out of a fund supplied by the pesticides industry but managed by an independent body. There must be no contact on these matters between the monitoring authorities and industry.